China is in the midst of transforming itself from "the world’s factory" into a global innovation center. At the same time, co-working has become an important vehicle to help Beijing achieve its vision of "mass entrepreneurship and innovation"(双 创). Having witnessed tremendous growth in the past few years, the Chinese co-working space industry is now entering a phase of consolidation and operational enhancement. A number of winners are likely to emerge to lead this sector as it further penetrates the office market. How big is this sector in China? The market size of the Chinese co-working industry grew from RMB1.4 billion in 2014 to RMB2.52 billion in 2015. That number grew further to RMB4.29 billion in 2016 and RMB5.47 in in 2017, and is expected to reach RMB9.35 billion in 2019. 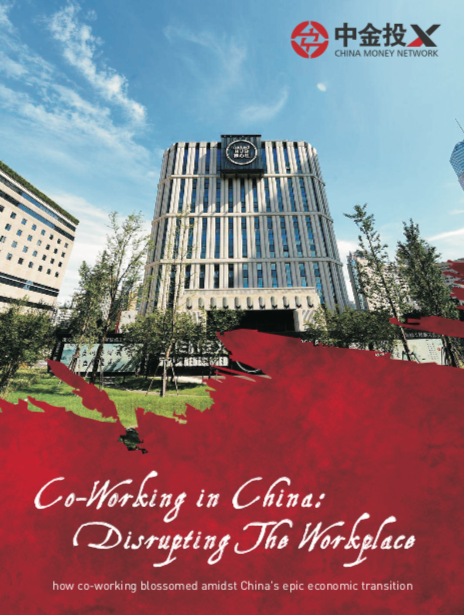 This report "Co-Working in China: Disrupting The Workplace" released by China Money Network showcases the explosive growth and opportunities in China’s co-working sector.